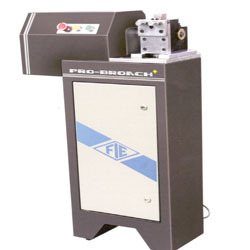 Pioneers in the industry, we offer motorized Broaching Machine which are self-contained floor mounted unit, specifically designed to cut Charpy and Izod 'V' and 'U' notches in pre-machined standard 10mm square. Specifically designed for cutting Charpy & IZod. 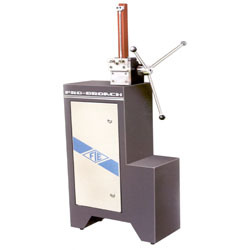 Hand operated notch Broaching Machine. This machine is designed test houses and labs.